Scotland-Sized "Dead Zone" in Arabian Sea Is a "Disaster Waiting to Happen"
Scientists say the situation is worse than they originally feared. 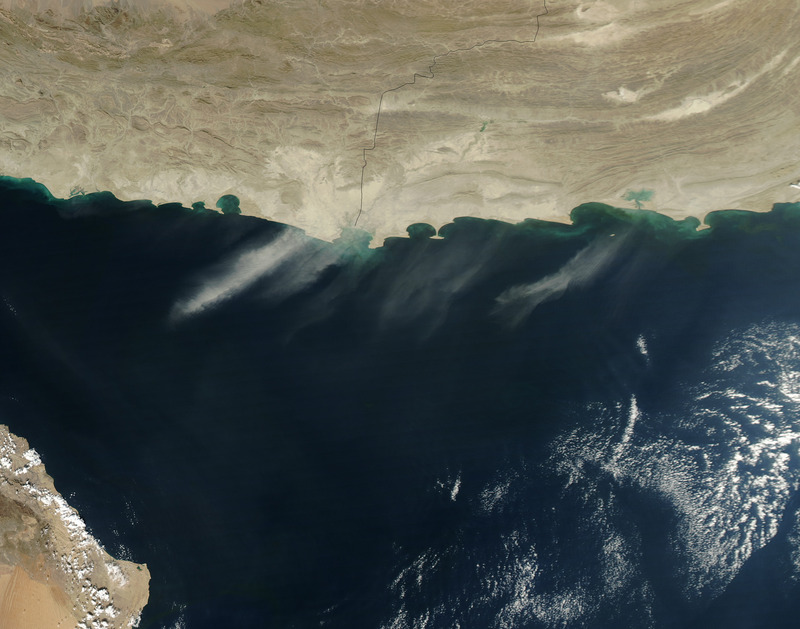 In the Gulf of Oman, the water is still. But tranquility isn’t always a positive sign — in fact, the gulf is less Garden of Eden than it is Chernobyl. According to researchers from the University of East Anglia and Sultan Qaboos University, a marine “dead zone” larger than Scotland now covers most of the body of water. In a study published in Geophysical Research Letters last week, marine biogeochemist Bastien Queste, Ph.D., and co-authors deployed underwater robots to measure oxygen levels and flow in the Arabian Sea. While they expected to find some oxygen minimum zones (OMZs) — the so-called “dead zones” — the problem was much more widespread than previously imagined. The Seaglider robot allows scientists to remotely collect data. With the help of underwater Seaglider robots, Queste and his team discovered that the dead zone, which Queste refers to as a “disaster waiting to happen,” had greatly expanded since it was last surveyed in the Nineties. A dead zone is a near-uninhabitable area of water that doesn’t contain enough oxygen to support marine life. These regions are rendered unlivable for all aerobic (oxygen-dependent) life forms, leaving a niche for extremophiles — microbial organisms that use anaerobic respiration. Aside from being a huge drain on biodiversity, dead zones pose a dire problem for the climate. When there isn’t enough oxygen in the water, the nitrogen cycle changes drastically. Under these circumstances, nitrous oxide — a greenhouse gas far more potent than carbon dioxide — is released into the atmosphere. Dead zones occur naturally between 200 and 800 meters (650 and 2300 feet) deep in some parts of the world. But their concentration in areas where agricultural and industrial waste and sewage runs into the ocean suggests that human activity is a contributing factor to many OMZs. Warm water also retains less oxygen, so the combination of rising sea temperatures and waste has likely helped dead zones proliferate.